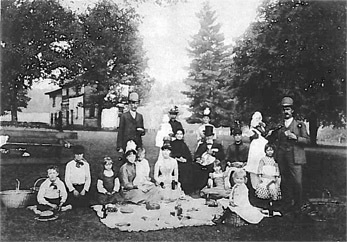 The history of Lakeshore Park can be traced back hundreds of years – the land on which Lakeshore Park currently sits originally belonged to local Cherokee tribes who used it mainly for hunting, fishing and gathering. 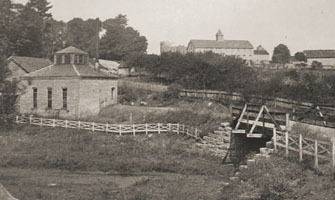 Captain William Lyon purchased 500 acres from the Cherokee Nation in 1809 and held the land until 1874, at which point 300 acres of the property was donated to the State of Tennessee by his daughters for the purpose of constructing the state’s first mental health institute. 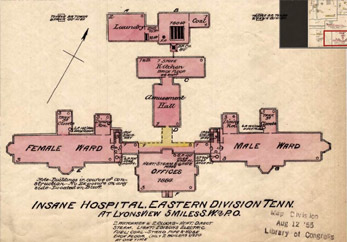 In 1886, the East Tennessee Hospital for the Insane opened its doors, beginning what would be more than a century and a quarter of mental health care for our community. 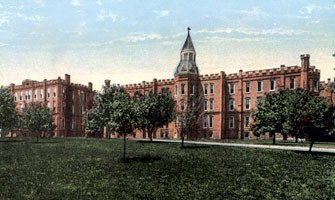 In 1993, as the hospital began to emphasize community-based services, the State of Tennessee agreed to lease 60 acres of the campus to the City of Knoxville for use as a public park. 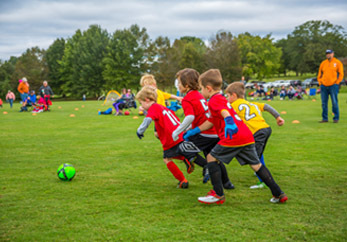 The City then entered into a management agreement with Knox Youth Sports, which began construction of the initial walking trails and baseball fields. 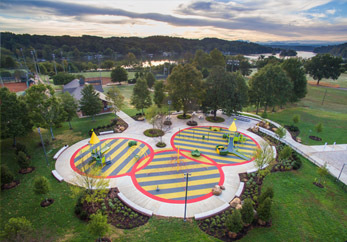 In 1996, the not for profit Lakeshore Park Conservancy was founded and a public-private partnership with the City of Knoxville was formed, signaling a new chapter and furthering the transformation of the campus. 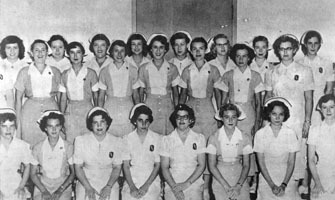 In 2013, the Lakeshore Mental Health Institute closed its doors after 127 years of extraordinary service to its patients and the community. Working in concert with the City, the Conservancy continued the preservation and transformation of the Park, resulting in the Hank Rappé playground, the restoration of the Lakeshore Chapel (now Marble Hall), the reclamation of the Tennessee River waterfront, additional greenways and much more. The land at Lakeshore Park is as historically significant to our area as any other building, structure or landmark in East Tennessee. As caretakers of the Park, the work of the Conservancy continues to this day, thanks to your engagement and steadfast support.